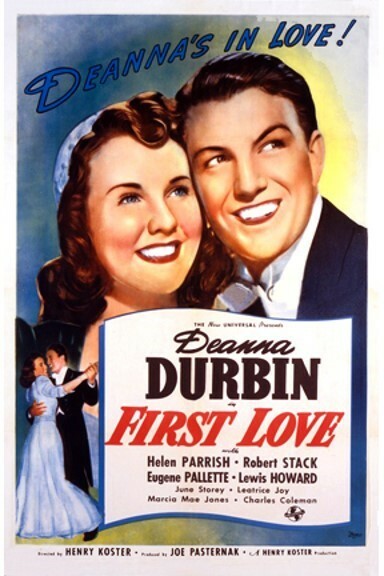 The South Arkansas Historical Preservation Society, located at 412 E. Faulkner in El Dorado, invites you to our SILVER SCREEN SERIES vintage and classic film Deanna DURBIN - FIRST LOVE. A 1939 American musical film directed by Henry Koster and starring Deanna Durbin and Robert Stack. It also features early appearance by future stars, Peggy Moran, Russell Wade, and Robert Paige. Based on the fairy tale Cinderella, the film is about an orphan who is sent to live with her wealthy aunt and uncle after graduating from boarding school. Her life is made difficult by her snobby cousin who arranges that she stay home while the rest of the family attends a major social ball. With the help of her uncle, she makes it to the ball, where she meets and falls in love with her cousin's boyfriend. The film received Academy Award nominations for Best Art Direction, Best Cinematography, and Best Music. Showing will begin at 6:30pm on the 2nd Tuesday of Feb.